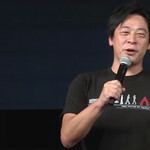 Tabata opened the Active Time Report to address the cancellation of Final Fantasy Agito+ and the ending of Final Fantasy Agito services in Japan. This was due to the functionality of the game which was causing all sorts of trouble for the developer. The errors the team came across were deemed unfixable. In order to address this problem, the team have decided instead to offer a replacement game called Final Fantasy Type-0 Online which will essentially offer fans an upgraded version of the multiplayer portion in the original PSP version of Final Fantasy Type-0. It'll be developed by Perfect World. The game will be releasing around Spring/Summer time next year in Japan with a release in the West to be determined. So it seems as though it's coming over, just a matter of when. If you need any guidance on Type-0, be sure to check out Final Fantasy Type-0 Online: Understanding This Convoluted Franchise. So generally this has already been covered but here's a bit more solid information just to give a bit more clarification on the status of the world of Final Fantasy XV. Essentially, Niflheim is a super power. They have conquered quite a bit of land unlike Lucis (which is where Noctis and Regis are from) which is holding on by a thread against the Niflheim army. Although Niflheim have a much bigger army and guns, Lucis is protected by a crystal which provides a barrier around the city from any oncoming threats. The crystal gets its energy from whichever king so King Regis has been giving his energy to the crystal which is why he has aged extremely fast. So in order to get into the city, Niflheim's forces need to find out how to diminish the crystal's power. Some of the additional information regarding Regis comes from some of the concept art that they released during the Active Time Report. Tabata showed off one piece of art which shows King Regis fighting against an unseen enemy with some comrades aiding him at his sides. Tabata has revealed that the two men are Cid and Cor and that we'll be seeing some of their story play out during the game. As for Luna, we learn that she was detained at a young age after witnessing the Niflheim army march into Tenebrae. It was this event that helped shape her into one of the world's youngest oracles. Her and Noctis have a small connection from when they were children. They spent a small amount of time together and made a promise to each other which has yet to be revealed. Tabata states that he wants to give fans a bit of a backbone for the story so that they understand the basic lore of the game before its released, but don't expect too many spoilers. 1. What happens to the car when it rains? - The car's roof will automatically rise protecting Noctis and co from the rain. 2. Will there be mob hunts? - Yes. 3. Will Gilgamesh be in the game? - No, they could not fit him in and have another character they thought better fit. They will consider Gilgamesh DLC if fans demand it. 4. Do Chocobos leave you when you dismount? - They will go off on their own after you leave them alone for a bit, however, if you whistle they should come right back. They will stay with you during the duration of the rental time that you set. You can rent chocobos for anywhere from 10 - 30 days. They have not specified a min/max., but during this time, the Chocobo will stay and camp with you allowing you to give them buffs and such. 5. Will there be double jumps? Real-time weapon switching? - No double jumps, but there will be real-time weapon switching for a maximum of 4 weapons. You can preset these weapons before fighting and should you want to use other weapons outside of these, you will need to go into the menu. 6. Will there be Costume DLC? - Still under consideration. 7. Bundles? - These are not under their jurisdiction, however, Tabata definitely hopes that there will be. 8. How many mini-games will there be? - Not going to give an exact number but there will be a few. There are, of course, the actvities you can take part in like fishing and such. There will also be Niflheim bases you can take over. Tabata didn't expand upon this really. 9. Will there be Chocobo breeding? - No. 10. Why does Regis' outfit seem so medieval? - It's more like a formal armor over his suit. He wears the armor depending on the situation. 11. Any updates on Airships in the game? - In discussing with the development team, they decided they won't provide players with Airships unless they can find a way to make it a new experience for players. They are considering it as free DLC though. 12. Are there any new magic spells? - Yes, one. 13. Will there be a photography feature? - Yes, also you'll notice Prompto constantly taking pictures. He will show you these while camping and he will actually get better at taking them as the game goes on. 14. Will ranged weapons have combos? - No. However, they will have rapid fire. When using ranged weapons, you'll switch into a shooter based system. 15. Will there be a bait system for fishing? - No. Fishing is all covered with use of lures. 16. What will the age rating be for Final Fantasy XV? - The team is working hard to keep it 13 years and older globally in order to reach as many people as possible. The higher the rating, the more difficult it is to market the game. 17. How many types of dishes are there? - Plenty, and just as Prompto gets better with photography as the game goes on, Ignis will learn new recipes. 18. What happened to obtaining summons through defeating them? - There are some you can obtain that way, some that you obtain through other means. 19. Will there be dual audio available for Japanese and English? - Whether or not it's included on the game disc will depend on space. If dual audio is offered, it will more than likely be in the form of DLC. 20. Is the ringtone available anywhere? - They will consider releasing it. 21. Will Luna fight at any point? - Yes, and she wields a trident. 22. Will you be able to damage certain body parts of enemies? - Inclusion of blood and loss of limbs is dependent on what they can get away with within the age rating. They will try their best to keep in the cutting of horns and such if they can get away with it. 24. Are there any alternative colors for the Chocobos? - Of the ones you can mount, no. 25. Will you be able to enter all buildings? - No, but there will be plenty of buildings you'll be able to enter. 26. Will there be sections of story where you can go through as the other characters? - It might not be in the main game, however they are considering showcasing them in other channels. 27. Will they announce the characters' ages before release? - Maybe? 28. Is it Cindy or Cidney? - Cidney for Japan and Cindy for English. 29. What happened to the playable tech demo? - The team is finalizing the tech demo and it will be released in due time. 30. Will there be as many silent bits in the final game like how it is in Episode Duscae? - There will be music during those bits. The music will be very situation focused. 31. Will there be Moogles in Final Fantasy XV? - No. Due to the fact that Moogle would require more development because they speak, they have decided to cut Moogles from the main game. Should fans want them, they will consider adding Moogles in as DLC. 32. Will there be limit breaks? - They are implementing a gauge system where if you fill a gauge by either taking damage/dealing damage, it'll fill up then allow you to deal out an ultimate attack. 33. Will the different areas be seamless? - There will be loading screens for some areas, but for the most part, the fields will be seamless.